VCOM Wireless Intercom brings the richness of ProCom functionality to Android Devices and the iPhone, iTouch, and iPad. 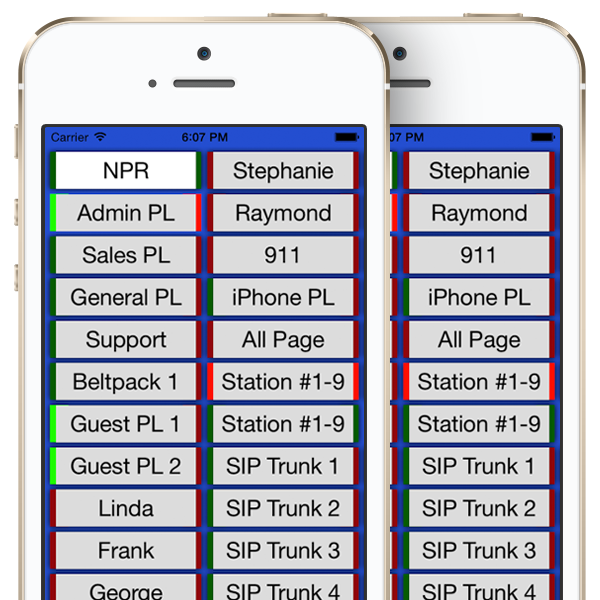 Leverage any combo of Android or iOS VCOM Control Panels to add mobile clients to any existing VCOM System or use a stand-alone wireless intercom system. iPak turns the familiar Apple iPod Touch or iPhone into the ultimate wireless beltpack solution by integrating an extended life battery case, SmartTouch™ slip-over cover, and belt clip. Single and 5-Bay drop-in charging stations are also available.